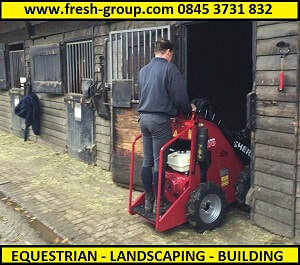 A mini skid steer is a compact machine, easy to manoeuvre in tight interior and exterior spaces. The mini skid steer is the perfect machine for landscaping, building, construction and gardening uses where space is restricted. Thanks to its multiple attachments, the mini skid steer can do the work of several people with just one operator. 1. 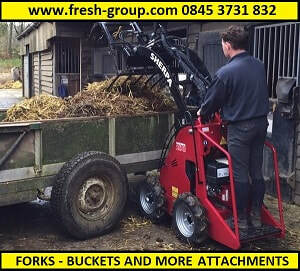 Video of mini skid steers with various attachments being used for different work projects such as gardening, landscaping, building, demolition, equestrian and more. 2. This is a video of tricks and perfect manoeuvrability that can be achieved with the mini skid steer. 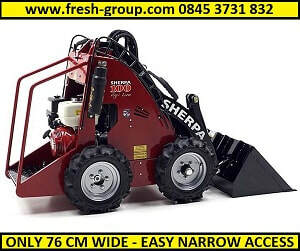 The mini skid steer is compact, easy to use and versatile. 3. Building, construction and demolition demonstration video showing the mini skid steer in action with various attachments.